For the first time since Christmas I’m enjoying that rare and wonderful thing – a bit of time on my hands without a deadline to meet. And OMG – how good does it feel. If nothing else it’s worth doing this course just to appreciate not having anything to do. I know there’s the Construction File to get started….. And there’s all the sketching, and watercolour and pastel and pantone practicing that I haven’t been doing over the past few weeks…. Then there’s trying to get to grips with the computer aided drawing programmes…. And let’s not forget Mint Tea and Sympathy at the Chelsea Fringe Festival, which some of us are helping with the weekend after next. And then there’s the Chelsea Flower Show (where I’m going to be handing out leaflets on the Ulf Nordfjell show garden on the Friday). So it’s not like I’m going to be bored…. But hey. The sun’s been shining. The birds have been singing. 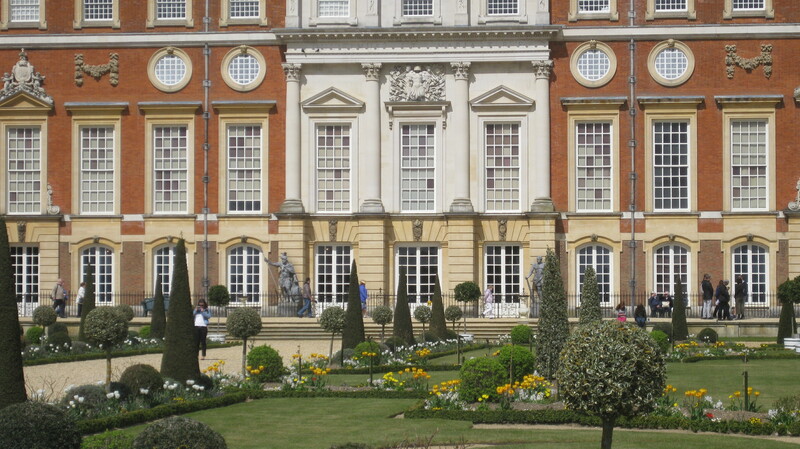 And we’ve been out in the gardens at Hampton Court. On Tuesday afternoon, (after we’d spent the morning presenting our designs for the Concept Garden Project,) we were rewarded for all our hard work with a session outside with Amanda to learn about pruning. It was one of the rare occasions when I didn’t have my camera with me. Big mistake. We wandered through the Wilderness Garden. It was glorious. You should have been there….. 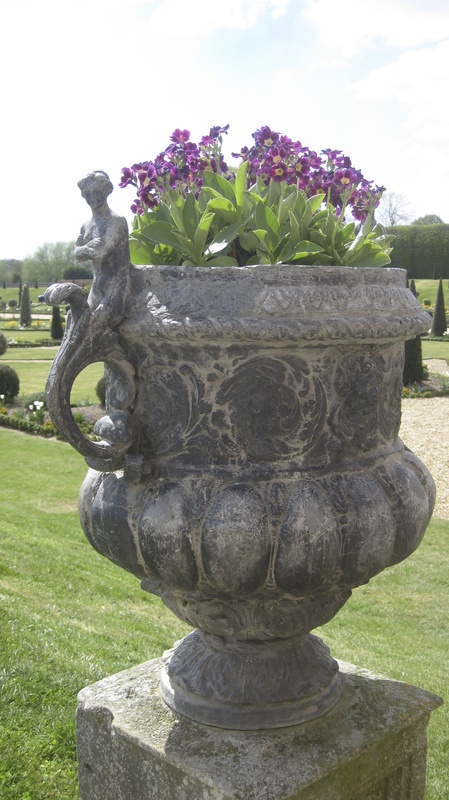 But I did have my camera with me the week before when we went back to the Privy Garden with Debbie in our Garden History lesson. 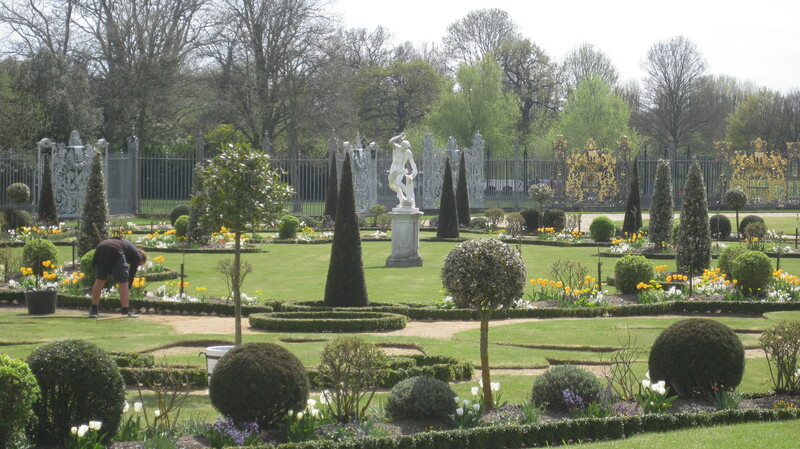 When we went to the Privy Garden last term it had been a cold, grey winter’s day. And I hadn’t been a fan. But you know what, I think I might have changed my mind…..
There’s always another hill to climb….